Is it a Legal Requirement to have an Annual Racking Inspection? Home / Articles / Is it a Legal Requirement to have an Annual Racking Inspection? HSE’s pallet racking inspection requirements can be quite confusing to someone who is new to running a warehouse. That’s why we want to make things a little clearer. As the British government’s main health and safety department, the racking inspection requirements HSE recommend are extremely important. 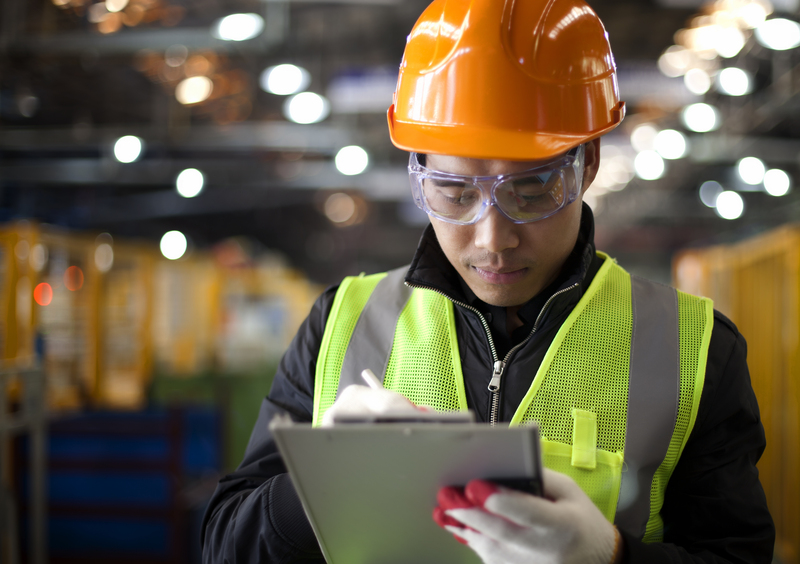 The word “recommend” can sometimes lead to confusion, however, and this is problematic as it is a word used through HSE’s primary guide to warehouse safety. In beginning their guide with this caveat, HSE give warehouse owners a lot of legal leeway. Why do they do this? And what does this mean? To understand, let’s take a step back and look at the CDM regulations and HSE’s stance on workplace safety in general. With regards to warehouse owners, this statement from HSE means that you need to make sure that anybody — not just your employees — who is “affected by what you do or do not do” is safe in your warehouse. In other words, warehouse owners are legally obliged to ensure the safety of everyone who enters their warehouse “so far as is reasonably practicable”. “Reasonably practicable” does not mean that you need to ensure the safety of everybody who enters your warehouse at all costs. For example, the safest way to guarantee the safety of everybody who works in your warehouse would be to dismantle all of your racking systems and send everybody home. This would certainly eliminate all risk, but it would be ludicrous to call it a racking inspection requirement. “Reasonably practicable” means taking common sense advice and — in the case of racking inspection requirements — it means following HSE’s advice as outlined in HSG76, the document most relevant to warehouse health and safety. In HSG76, HSE recommend a SEMA approved racking inspection at least once a year for all warehouses in the UK, as well as weekly racking inspections from a “technically competent” staff member. So is that recommendation legally binding? No, it’s not. That’s what HSE means when they say “you are free to take other action”. However, HSE go on to state that “if you do follow the guidance you will normally be doing enough to comply with the law”. The new CDM regulations make all of this even clearer. Whereas before, the legal responsibility of the safety of employees was shared between HSE and the warehouse owner, now the onus is solely on the warehouse owner to ensure the safety of employees in their warehouse. So, Is it a Legal Requirement to have an Annual Racking Inspection? However, in not having an annual racking inspection, employers and warehouse owners go against HSE’s advice. This means that if an accident related to racking were to happen, they would be both legally and morally responsible. In not having a SEMA approved racking inspection, a person could argue that the warehouse owner did not ensure their safety “so far as is reasonably practicable”. HSE, SEMA, and we at Storage Equipment Experts all recommend a SEMA approved racking inspection at least once a year. We pride ourselves on our knowledge of pallet racking inspection requirements and on what makes a SEMA approved racking inspection the HSE-approved protocol that it is. Be sure to follow HSE’s advice and make sure your business has a SEMA approved racking inspection.